TS EDCET Results 2018 will release by Osmania University on 11th June 2018. Aspirants who have attended the Telangana Education Common Entrance Test 2018 can know your Telangana Edcet Result 2018 here. Exam participants check your TS B.Ed CET Results 2018 via online at the official portal and Vidyavision.com. By entering the hall ticket number, password one can verify their TSEdcet Results 2018. Telangana Education Common Entrance Test (B.Ed) for admission into 2 years B.Ed courses (regular) the colleges across the Telangana state. 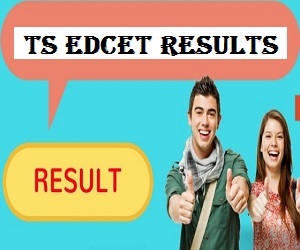 How to Check Online TS Edcet 2018 Results? Next, Enter your Hall ticket number and Date of Birth and other details. Verify the filled details and click on the submit button. TS BEd CET Results 2018 will display on the screen. Download the Telangana EdCET Result 2018 and take the printout for future purpose. The Counselling will be began in 3rd week of June 2018.The counselling and seat allotment is completely online process.So candidate must register for online after counselling information updated on official website.After that candidate will be called for certificate verification and exercising the web options.After seat allotment, candidate can download the seat allotment order and report the college.